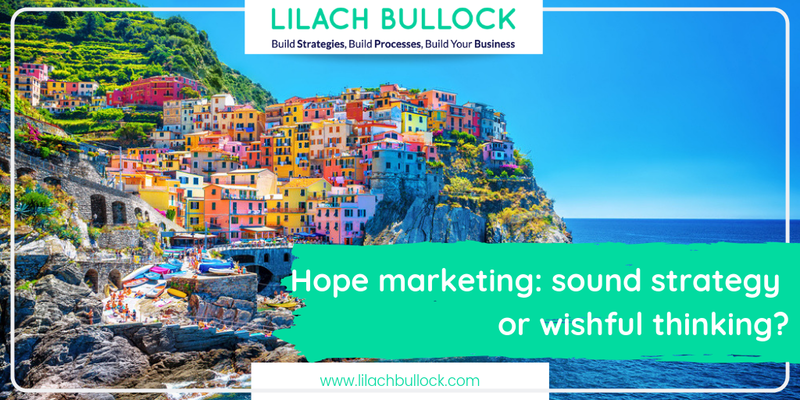 Hope marketing: sound strategy or wishful thinking? Recently, I got into a conversation with someone about hope marketing. About how if you believe enough and hope enough for good things to happen to your business then they will eventually happen. But does that really work? After all, it even has a name so surely, there must be something to it, right? While I don’t believe that to be true, it did make me stop and think – and take some interesting conclusions. 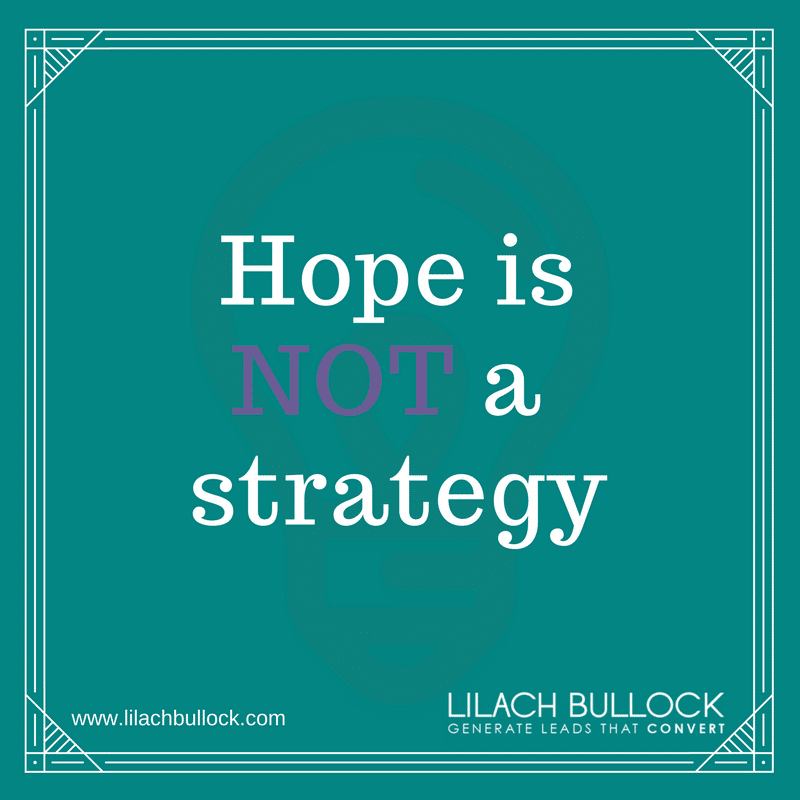 Now, the question I want to ask you is does your business rely on hope marketing? What is hope marketing, anyway? As I mentioned in the introduction, hope marketing is all about hoping for the best…and hoping that this “best” will actually happen, somehow eventually. In my opinion, it’s less of an actual marketing strategy and more of…well, just wishful thinking. It doesn’t necessarily imply that you shouldn’t take any action in order to achieve your goals, but rather that you’re hoping that any action you’re taking is going to achieve the results you want. It’s not a strategy, it’s not a plan; it’s a way of life that is used in place of an actual marketing strategy. For example, say you opened a small store. You’re selling something that you’re passionate about, but you haven’t done any research prior to it. You don’t know whether the location you chose is good, or if you’re going to get any foot traffic. Or if you are getting people, whether they are the type of people who would be interesting in buying what you’re selling. Basically, you’re hoping that people will pass your store and want to come in and that once they do come in, they’ll want to buy. Then, when you’re starting to struggle a bit, you might try buying some ads. Again, you perform little research – you’re just hoping that people will see your ad and want to come visit your store. Or maybe you saw your competitors doing the same thing and thought you’d try yourself, hoping it would work. You might also try social media to reach more people. You’ll post some images, try to talk to some people and basically hope that the people who like your Facebook Page, follow you on Twitter and so on will also want to buy something from you, eventually. Put simply, you’re making the bare minimum effort. You’re hoping good things will happen, and although you’re trying, there’s no strategy, no planning behind it. And because of this, this fictional business I made up will most likely fail within the year. OK, so does it work? A lot of people believe in karma – doing good things in the hope that this will mean good things happening to them in return. While this is a lovely concept, in my opinion, I certainly don’t think it’s true. Or, rather, it’s not true when it comes to the business world, which is my focus here. You might be able to get some results this way, but, you’ll never be able to actually grow and scale your business. To put it differently, you might be able to get some clients with hope marketing but you’re never going to make enough money to achieve true success. The harsh truth is the world we live in just doesn’t work this way. We all have hopes and dreams, but only those who work hard and with purpose actually manage to achieve them. Say you’re lonely and dream of finding a significant other to share your life with. You could sit back, cross your fingers and pray for your soulmate to be delivered into your life, or you could get out there and put yourself into the sort of situations where you actually stand a chance of meeting them. In other words, if you’re not actually doing something to achieve your dreams, you’re not going to. You might bump into the love of your life while popping out to the corner shop but, although I’m no mathematician, I’m quite certain that the chances of that ever happening are so low they are practically non-existent. And if hoping worked out for you once, that certainly doesn’t mean it’s going to keep happening and your business will start growing. The only way that you can actually get results and achieve your hopes and dreams is to work. And work hard. If it were as easy as hoping, we would all be rich, thin and famous. But we’re not because if we want to achieve these things, we need to dedicate ourselves, to work towards these goals constantly, day by day and even night by night. I’ve encountered this a lot over the years of speaking and working with so many different entrepreneurs and businesses; people who want to make changes, who want to take their business to the next level, but when it really comes down to it, they’re not ready at all to actually work at achieving their goals. Why do people sit back and hope? I think that one of the most interesting things about hope marketing – and those who employ it for their business – is the reason why people would choose this route. Why would people sit back and hope when they could actually do something productive and actually grow their business? Is it a belief thing? Is it because they are not confident enough in their abilities? Or is it good old-fashioned laziness deterring them from creating a real strategy and then working towards achieving it? Or hey, maybe it got them this far and they want to stick with it? Some people also have this belief system where they don’t want to sell. They’re afraid that pushing their product and services will somehow damage their reputation and put their potential customers off. It’s something that, again, I’ve encountered quite a bit over the years; people are often afraid of being too pushy. But, if you’re offering a good product or service, something that you are proud of and something that you are truly passionate about, you shouldn’t be afraid to sell it. If you get one thing from this post, it should be that hoping just doesn’t work. And if it does work from time to time (although I’d argue that any positive results are the work of chance and coincidence rather than any strategy that could be repeated) that doesn’t mean that a “hoper” will ever really be able to scale and grow their business this way. The only real way to get ahead in business is to have a real, completely thought-out strategy and then work towards implementing it. And even then, your strategy will continue to require work and it will probably need to be adjusted as you go on. There are simply too many businesses competing for the same peoples’ attention; in the blogosphere and on social media your competitors are doing everything they can to stay ahead and stand out. And if you want to be able to keep up with them, you’ll need to give up hoping and start working strategically towards achieving your goals. Don’t just hope for a better day – make a better day, starting with this one you’re living through right now. String enough of those days together and it’s not a case of if your business starts to grow – it’s a when. If you’d like to talk to someone who knows how to strategize and grow a business in record time, give me a call. I’m not much of a hoper, but I’m a great helper and would love to help you achieve your goals. I’m getting an error message when I want to send for your offer. “Oops there was an error…saving data to ConvertKit. Subscriber email is required.” I’d love to receive your traffic cheat sheet. Help a sister out! Sorry to hear that Juliet, if you can drop me an email and I’ll send you the download link (lilachbullock@gmail.com). Thanks! 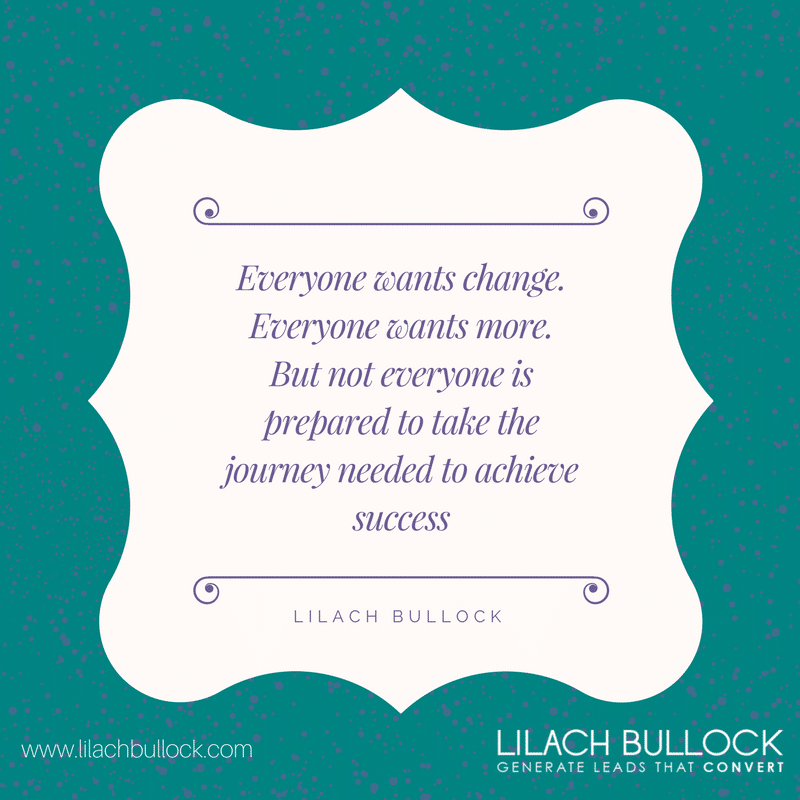 Hi Lilach, this reminds of a campaign slogan from years ago “Hope and Change” …Hope did not create any change. Action is what it takes. Action to learn, study, practice, practice and more practice. Then analyze results and do it all over again for marketing. Marketing is constantly changing today and what worked yesterday will not work today. Love your quotes here too! I speak at several meetups and I’ve often encountered people who tell me how their hopes of success have crashed and burned and how disappointed they were by the Internet and so on. Gentle probing reveals they tried to derive a living income via the Internet more out of desperation than thinking through, planning, understanding costs and ROI and more, ingredients that help ensure success in any business model, whether brick and mortar or the Internet. What I did not know was this had a name: Hope Marketing. I believe that this approach is terrific way to lose money and – hope. You’ve outlined all the mistakes that 98% of Internet driven entrepreneurs make beautifully. Many made me smile, because I had made them myself. I learned from these mistakes and changed. A lot of people believe in karma – doing good things in the hope that this will mean good things happening to them in return. I’ve personally encountered a few Internet based mentors who actually teach this . it’s not true when it comes to the business world, which is my focus here. I’d like to end by quoting a brilliantly put, hard hitting truth, in this article, which I’ve experienced time and again. Everyone wants change. But not everyone is prepared to take the (often uphill) journey needed. I just added two words 🙂 from my personal experience. Strange topic, which was what drew me in. I love your writing style, enjoyed the read. Great article, thanks for sharing.